the early part of last week. 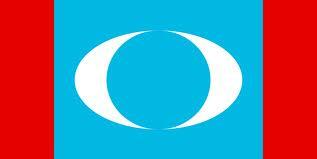 also congratulated the Barisan Nasional for winning 25 seats which is quite substantial. accept the verdict of the people. saying Arab‟s spring by huge demonstration, they want to intimidate the Government. perimeter survey of native customary right land and other related subjects. 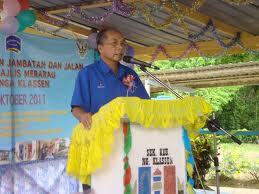 Let me first talk about Forest Conservation in Sarawak. policy encompasses three aspects, i.e. forestry, agriculture and other land uses. gazetted as Totally Protected Areas. considered. However, efforts will continue until the targets are achieved. Sarawak and Wildlife Conservation Society. nests were found in the area and another 199 nests were detected from aerial survey. effort in Sarawak has received international recognition. come nearer to your microphone. the conservation programmes by the State. the symbol of our State. 2017 to be held in Kuching, Sarawak. deeper, we sometimes find more and more species that we never thought of before. of growth in tropical rain forest. protected under The Wild Life Protection Ordinance, 1998.
they land, they always turn their head left and right, to see if there is any danger to them. delta … (Interruption) yes, yes. right of the ubah as well. In fact it‟s not bad, it‟s very cute as well. election that hornbill is dead. Yes, anything else. not need to raise this matter anymore. Since we are alive, we got to go on like a hornbill. continuous economic growth and well being of our people. effectively the requirements for environmental protection in the State. qualities in the State particularly, water and air. their pristine conditions, while the polluted ones are rehabilitated. We are committed to ensure that the air quality in the state remains healthy. pollution is from smoke due to open burning activities. no major occurrence of haze affecting the State. Not yet, anyway. on our neighbour, as without control, open burning locally may aggravate the situations. and monitor hotspots, Air Pollutant Index (API) and open burning activities in the State. (EMR), on the status of the development and compliance to the EIA approval conditions. works, such as site preparation, site investigation, and establishment of nurseries. ensure that the industries comply with international standards. for sustainable development of our State. serious about protecting our environment. Now, we come to another familiar and favourite subject. Pengukuran Perimeter NCR Inisiatif Baru. Inisiatif ini adalah usaha berterusan Kerajaan. pemilik-pemilik Tanah Hak Adat Bumiputera. lagi akan diserahkan pada masa yang terdekat. land might not be enough. So that is the approach that we take. prepared to be liberal and be reasonable. Gunasama (Pertanian) Bumiputera menurut Seksyen 6 Kanun Tanah Negeri. Pengukuran bagi dua lagi kawasan akan dilaksanakan dalam masa terdekat. mengembalikan tanah NCR yang kononnya dirampas kerajaan tidak timbul sama sekali. proven to be NCR we will pay compensation. Time and time again we have said this. years we have issued 208,217 and we will issue more. This is a continuing process. them responsible representatives of the rakyat. about this matter of security, matters of trans-border, movement and so on. 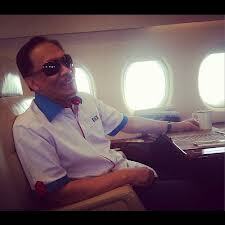 Lautan Biru atau “Blue Ocean Strategy”. berserta Jabatan Kastam dan juga Pos Malaysia. think all the people even Barisan Nasional or backbenchers they do agree with me also. This is so serious, I think this is out of control already. Y.B. Encik David Wong Kee Woan: Yes, we are very willing to do that. 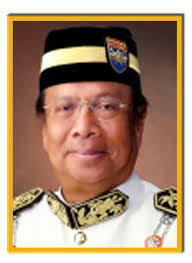 Datuk Amar Haji Adenan bin Haji Satem): Thank you very much. menjalankan serbuan bersama bagi membanteras aktiviti ini. pemotongan bekalan elektrik dan juga pemotongan bekalan air. dan elektronik berkenaan kesan buruk aktiviti ini. (vi) Pemantauan yang berterusan ke atas premis-premis mesin perjudian. Speaker kerana telah mengendali persidangan kali ini dengan begitu baik dan lancar. terlibat dalam menjayakan persidangan Dewan Undangan Negeri kali ini. Kenyalang ini. Sekian, terima kasih. MINISTER of Special Functions Tan Sri Datuk Amar Adenan Satem has called on the opposition elected representatives to stop inciting the ‘rakyat’ with regards to land policy. When delivering his winding-up speech at the DUN sitting here yesterday, Adenan expressed his discontent with the opposition’s frequent use of expressions such as ‘illegitimate land grab’ which he deemed was intended to make the people angry. He explained that the government has been practising fair and transparent land policy and never grab titled land or legitimate native customary rights (NCR) land without paying fair compensation. In this sense, he highlighted that issues on returning NCR land that has been taken by the government does not exist at all. get the documents you need,” he advised when responding to an issue raised by Ting Tze Fui (DAP-Meradong) with regard to complaints of non-compensation by the government as claimed by certain individuals. Adenan stated that there were incidents when individuals yet to receive their compensation made the complaint despite the majority of their respective community (affected individuals) having received payments. Whenever the government pays compensation, it should be publicised so the public knows, he continued. 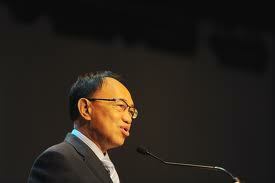 He also mentioned that the issuance of NCR land title is a continuous process. To date, a total of 208,217 titles have been issued under Section 18 of the Land Code. As of April this year, the Land and Survey Department has received 575 applications for surveying under the government’s policy new parameter survey initiative. Of this lot, 377 applications involving an area coverage of 616,091 hectares (ha) have been approved for survey. The remaining 198 applications are still in the process. Parameter survey work has been completed in 250 areas covering 334,144 ha. A total of 134 areas with a size totalling 167,945 ha has been gazetted as Bumiputera (Agriculture) Communal Reserve under Section 6 of the Land Code. Among other problems faced by the government in conducting the parameter survey was that officers were asked to conduct surveying work outside the approved boundaries, apart from locals disputing the boundaries. 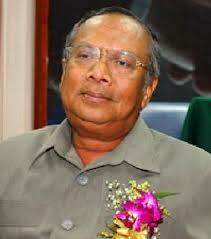 To this, Adenan advised: “The government is willing to be liberal and reasonable in awarding the land. We understand the needs of the people but please don’t claim from ‘sunrise to sunset’, don’t claim the whole mountain or the whole river network. 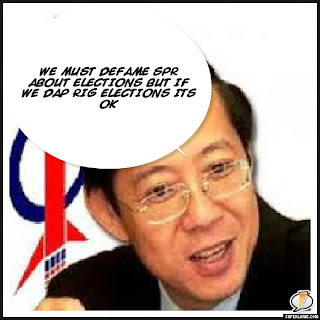 KUALA LUMPUR: Preliminary investigation by the Election Commission (EC) revealed that a photograph posted on the Internet showing that a blackout purportedly occurred during vote-counting for the 13th general election (GE13) was an act recorded even before the GE13. EC deputy chairman Datuk Wan Ahmad Wan Omar said this conclusion was arrived at after a thorough scrutiny by him together with his officers. “They had staged the act even before the election to spread it on the Internet as a ploy to show that a blackout had purportedly occurred, whereas it was a lie. “The photograph showed that EC staff were purportedly counting the ballot papers and had to use auxiliary lamps whereas the staff were not wearing the EC uniform,” he told Bernama when met recently. He said the most obvious proof was when the photograph showed that there were many reporters and photographers present in the vote-counting area whereas no one was allowed into the area except for the EC staff and agents of the candidates. “The Standard Operating Procedure (SOP) and work procedure shown on the photograph were totally incorrect…they have forgotten, (they) want to cheat but do not understand the work procedure and were immature. “In fact the tray used for placing the ballot papers on were also not the EC trays, the material and size were different… (there were) many things in the photograph that did not follow EC SOP,” he said. Wan Ahmad said so far there had been no police report lodged regarding the alleged ‘blackout’ which showed that it was clearly a slander and concocted story. “If there had been a blackout, certainly the party agents would have lodged police reports. They represented the candidates, they were present at the counting venues. If there had been a blackout, they would have been the first to lodge police reports, but there were none,” he said. Meanwhile, commenting on an allegation by an opposition newspaper that 24 EC staff in Besut, Terengganu had been confined to mark their ballot papers, Wan Ahmad said he left it to the police to investigate the allegation. Meanwhile, Wan Ahmad said the proposal by the opposition that a People’s Tribunal be set up was dangerous because it ignored the national constitution and law. THE State Legislative Assembly has re-elected Senator Dayang Madinah Tun Abang Openg of Parti Pesaka Bumiputra Bersatu (PBB) for another term of senatorship yesterday. Her second term officially begins on July 19 this year. Her name was proposed by Dalat assemblywoman Datuk Fatimah Abdullah, who said Dayang Madinah’s election was based on her vast experience, performance and family background. “Dayang Madinah has the capability and capacity to voice the aspirations of Sarawakians in general and women specifically. With her strengths, she will be able to provide an effective voice at the national level. 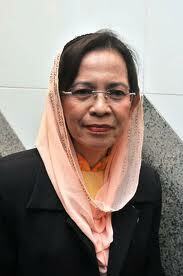 “Given another term, she will have more time to realise the aspirations of Sarawak,” she said. 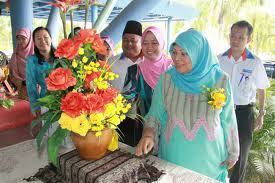 She was seconded by Datuk Amar Awang Tengah Ali Hasan (PBB-Bukit Sari). The opposition nominated Andrew Lo Kian Nyan, who is well-known for his active involvement with Sarawak Bank Employees Union (SBEU) and Malaysian Trades Union Congress (MTUC). Lo was proposed by Ba’ Kelalan assemblyman Baru Bian who is state PKR chief and seconded by Wong Ho Leng (DAP-Bukit Assek) who is state DAP chairman. Dayang Madinah received 53 votes from all the BN representatives, while Lo received 17 votes from Pakatan Rakyat representatives and Sarawak Workers’ Party (SWP) representatives. Dayang Madinah was first elected as a Senator in July 2010, replacing Dato Sri Empiang Jabu who stepped down after serving for two terms. Borneo Post May 20, 2013, Monday THANKS FOR EXCELLING: Nanta handing out the cash rewards to Dayak students who excelled in their 2012 public examinations. KAPIT: Newly-appointed Federal Deputy Minister for Rural and Regional Development Datuk Alexander Nanta Linggi pointed out that requirements for the development of rural areas differ from the urban areas in that it involved the people’s asset, NCR land. “In the urban areas, development comes in various forms such as investment through shares and so forth. But development of the rural areas requires or involves land. This is how we plan for rural development as we need to make full use of our asset which is land for building infrastructure like roads, schools, clinics, hydro-electric projects and other economic development like rubber plantations and other cash crop cultivation,” said Nanta. He said this while officiating at a Kapit district pre-Gawai Dayak gathering held at the Civic Centre here on Saturday night. He said apart from providing basic infrastructure for the people in rural areas, the government also gives focus to economic development to further uplift the economic status of the rural population. “If we have a strong economy in the rural areas, urbanites also benefit from the purchasing power of the rural folk who need to buy their daily needs from town or urban areas. Hence there is a need for a balance of urban and rural economic development,” stressed Nanta. He pointed out that more often than not, the issue of (NCR) land matters for development in the rural areas was manipulated by the opposition. “Our past leaders include the former MP Temenggong Datuk James Jimbun, who has over the years brought the land issue to the government and it was only until recently that the perimeter survey for the NCR land under the new government initiative has materialised. “If we do not develop our (NCR) land or do a perimeter survey, then we will be at the losing end as the NCR survey determines our boundary so we can claim ownership to the land,” he said. On the Gawai gathering, Nanta congratulated the organising chairman Joseph Jinggut, who is also chairman of the Sarawak Dayak National Union, for hosting this year’s Gawai that has been slotted with many interesting programmes to maintain the Dayak culture and identity, such as the Kumang Gawai contest. “The Dayaks must continue to uphold their traditions and the Gawai celebration must be held continuously from year to year,” Nanta said, adding that the gathering has united Dayaks from all walks of life in the urban and sub-urban areas, before leaving for their respective longhouses for the celebration held from May 31 until June 1-2. “I know that each time during the pre-Gawai gathering in Kapit, the venue is always never (big) enough to accommodate everybody. This shows our desire to be together to preserve our culture despite diverse backgrounds in political inclination and culture and yet we know when to be united,” Nanta said. YB Datuk Rohani Karim dan YB Datuk Fadilah Yusof telah diangkat sebagai Menteri penuh dalam kabinet Persekutuan 2013. YB Datuk Rohani Karim adalah pemimpin yang naik dari bawah hingga ke atas dengan menjadi ahli parlimen pada tahun 1990. Setelah bekerja sebagai Setiausaha Parlimen dan Timbalan Menteri akhirnya 23 tahun kemudian beliau menjadi menteri penuh. YB Datuk Fadilah Yusof pula merupakan 'rising star' yang paling tinggi naik dalam beberapa tahun. Beliau menjadi ahli parlimen pada tahun 2004. 4 tahun kemudian beliau diangkat menjadi Timbalan Menteri. 2010 mendapat 'Datukship' dari kerajaan negri Sarawak. 5 tahun kemudian iaitu sekarang beliau telah diangkat lagi sekali menjadi Menteri penuh Kementerian yang besar iaitu Menteri Kerjaraya. PUTRAJAYA: The memorandum received by the Election Commission (EC) from several youth and students associations yesterday was made based on allegations and seditious statements, including from opposition leaders and social networking websites. EC deputy chairman Datuk Wan Ahmad Wan Omar said the memorandum was clearly made without proper research and by those who did not understand the law. “This is what happened when they poisoned the minds of our children, our students in universities and colleges with lies,” he told reporters at the EC headquarters here yesterday. 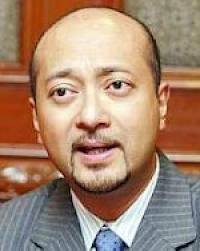 Wan Ahmad said the memorandum contained, among others, an allegation about non-citizen voters, even though explanation had been given on voters’ registration process which had made it impossible for non-citizens to vote in this country. On manipulation and allegations about phantom voters, Wan Ahmad said those who made the allegations should take the evidence to court. Wan Ahmad said it was normal for young people to have a rebellious attitude, but the opposition leaders had been very irresponsible when they took advantage of the situation. “I was made to understand that 80 per cent of the participants of the Wednesday’s rally at Kelana Jaya Stadium aged below 40, with some of them below 21 and know nothing except to have some fun at the stadium, while the opposition leader took advantage to express his anger, disappointment and bitterness for not being able to be prime minister,” he said. Wan Ahmad also stressed that what the EC did was in accordance with the federal constitution and most political party leaders in the country were aware of the laws. “The young people may not read books about laws, but political leaders do. If the authorities didn’t do anything to set this straight, it will be very unfortunate for Malaysia. KUCHING: Tindakan tegas perlu diambil terhadap pihak pembangkang yang kian meracuni pemikiran kaum Cina sehingga unsur masyarakat itu secara menyeluruh tidak menyokong Barisan Nasional (BN) amat jelas kelihatan pada Pilihan Raya Umum Ke-13 (PRU13). Ahli Majlis Tertinggi Parti Pesaka Bumiputera Bersatu (PBB) Abdul Karim Rahman Hamzah berpendapat, perkara itu adalah satu perkembangan yang kurang sihat yang dipelopori oleh pihak PR, khususnya di kalangan pemimpinnya. “Jadi mengapa mereka (Cina) tidak suka kepada BN? Jawapannya adalah angkara pemimpin-pemimpin PR yang tidak henti-henti membuat fitnah memburukkan pemimpin dan kerajaan BN kepada masyarakat ini. “Kerajaan perlu tegas menangani masalah ini. “Sekiranya dibiar, keadaan boleh menjadi lebih buruk dan mereka yang terus merosak keharmornian dan perpaduan kaum perlu diambil tindakan tegas,” katanya kepada Utusan Borneo menerusi sistem pesanan ringkas (SMS), semalam. Abdul Karim memberitahu, walaupun usaha mendekati kaum Cina dan menunaikan banyak permohonan kaum ini dibuat sebelum PRU13, jelas sekali semua ini tidak mendatangkan hasil untuk masyarakat ini menghargai usaha-usaha tersebut. Masalah bukannya kerana kaum ini ditindas. Ekonomi Malaysia dikuasai kaum ini dan bukan sebab tidak diberi hak menganut agama dan adat budaya mereka malah di Nusantara, Malaysia adalah satu-satunya negara paling liberal tentang agama dan adat budaya dan tidak ada penyekatan perkara ini, katanya. Masalah bukannya kerana tidak ada peluang menyara kehidupan kerana kaum ini menguasai perdagangan dan mereka juga menyandang banyak jawatan dalam kerajaan tanpa sekatan, tambahnya. “Kerajaan dan pemimpin-pemimpin masyarakat kaum ini perlu mencari apakah yang membuat kaum ini begitu dan tindakan susulan perlu dibuat selepas itu,” katanya. DAP mahu kuasai kawasan Bumiputera - Chong Chieng Jen. KUCHING: Parti Tindakan Demokratik (DAP) memulakan persiapan untuk menguasai lebih banyak kawasan Bumiputera di Sarawak pada pilihan raya negeri akan datang. Setiausaha DAP Sarawak Chong Chieng Jen berkata kawasan yang dimaksudkan itu ialah Dewan Undangan Negeri (DUN) Tasik Biru, Tupong, Satok, Tarat dan Kedup. Beliau memberitahu, bagi tujuan itu parti akan membuka pusat khidmat di Tasik Biru, Bau dan Matang sebagai tambahan kepada pusat khidmat sedia ada di Serian dan Siburan. “Ini adalah strategi masa depan DAP Sarawak khasnya untuk menguasai lebih banyak kerusi DUN. “Jadi kerusi DUN seterusnya yang menjadi sasaran DAP ialah Tarat, Tupong, Satok, Tasik Biru dan Kedup. “Ini adalah usaha untuk kami memperluaskan pengaruh parti di Sarawak khasnya,” katanya pada sidang media di sini semalam. Chong yang berjaya mempertahankan Parlimen Bandar Kuching berkata keputusan itu diambil ekoran keputusan PRU baru-baru ini yang menunjukkan Pakatan Rakyat (PR) mendapat sokongan yang tinggi daripada rakyat di Sarawak khususnya di kawasan bandar. Menurutnya sebelum ini undi popular Barisan Nasional (BN) 4 juta manakala PR 3.7 juta bagaimanapun PRU kali ini pembangkang memperoleh undi popular 5.5 juta, kira-kira 300,000 lebih tinggi berbanding BN. “Namun kami (PR) masih belum mampu membentuk kerajaan dan perkara ini amat mengecewakan penyokong kami,” ujarnya. Pada Pilihan Raya Umum Ke-13 (PRU13), BN menang di 126 kerusi Parlimen manakala PR 76 yakni DAP 35 kerusi, diikuti Parti Keadilan Rakyat (PKR) sebanyak 21 dan Parti Islam Se-Malaysia (PAS) 20 kerusi. Manakala pencapaian PR di peringkat negeri Sarawak, DAP menang di lima Parlimen iaitu Bandar Kuching, Stampin, Sibu, Lanang dan Sarikei manakala PKR, satu iaitu Miri. Sementara itu, pada Pilihan Raya Negeri 2011, DAP menang di 12 kerusi DUN iaitu Padungan, Pending, Kota Sentosa, Batu Kawah, Meradong, Repok, Bukit Asek, Dudong, Pelawan, Kidurong, Piasau dan Pujut.